In the beginning God gave His instruction, (Torah). You may eat of every kind of tree in the garden but do not eat from the tree of the Knowledge of Good, (Tov) and Bad, (Ra), for in the day you eat it, Death, (Muth) you will Die, (Muth), Genesis 2:17. The All Knowing declared the end from the beginning, including mankind’s rebellion, death and redemption back to Spiritual Life, Isaiah 46:10. The Tree of Life existed from the beginning. Why didn’t God allow Adam and Eve to eat from the Tree of Life? Because death is temporary. Mankind will not remain in the state of death forever. Through one man, Adam, all die, Romans 5:12. Through one man, Y’hoshua, (YHVH’s Salvation) All Live; 1 Corinthians 15:22 ; Romans 5:17. Y’hoshua/Jesus, the promised Seed of the Woman, was promised from the beginning to crush the head of the serpent, (to “crush the head” is an idiom showing Victory over the serpent/death), Genesis 3:15; Romans 16:20; Revelation 1:18. The Good News is Knowing our Eternal, Spiritual Creator, Yehoshua, His Hebrew Name meaning YHVH, (He Is, Was and Always Will Exist), Is Salvation. What did He Save us from? Our oppression to that Tree of Death. 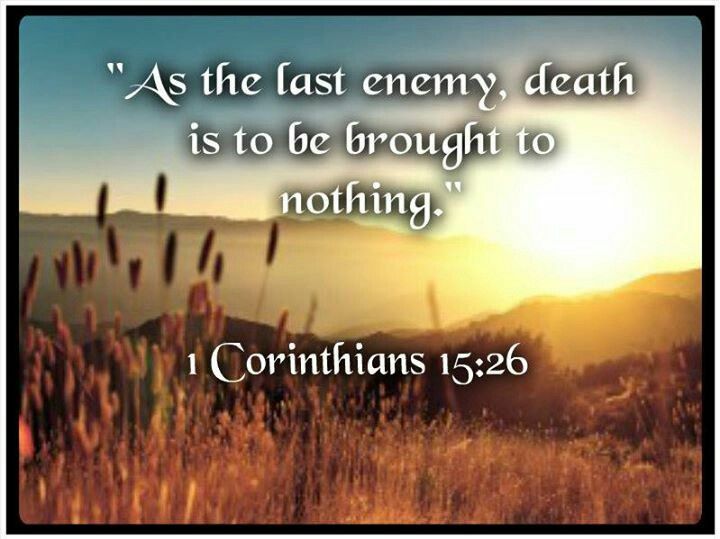 But death is the last enemy to be destroyed, the rebellious must go through the Lake of Fire, again! (It’s figurative language, fire purifies, but those fiery trials are torment). “Those who are granted the right to eat from the Tree of Life, will not be harmed by the second/repeat death.” “The second death is the Lake of Fire,” Revelation 2:11; Revelation 20:14.